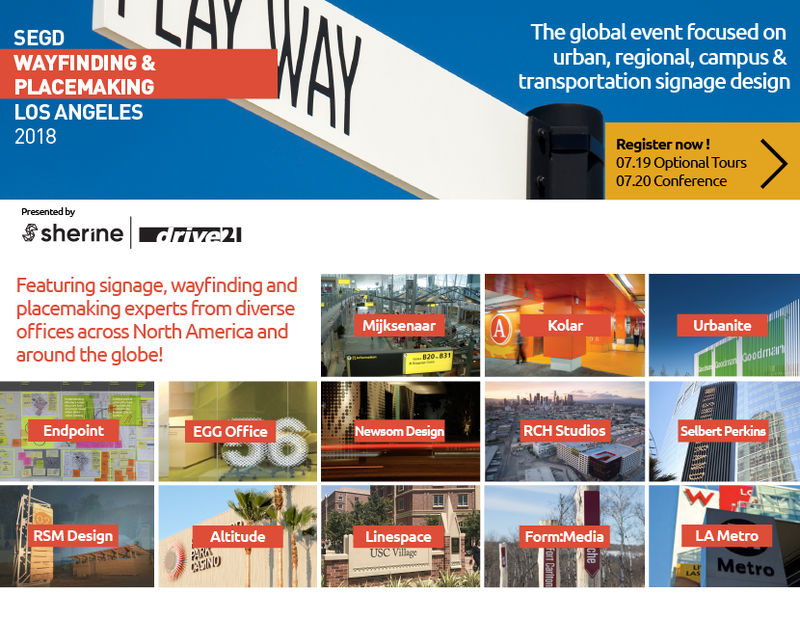 Wayfinding and placemaking are at the heart of experiential graphic design. Which is why it should be no surprise that the SEGD Wayfinding event is growing exponentially. 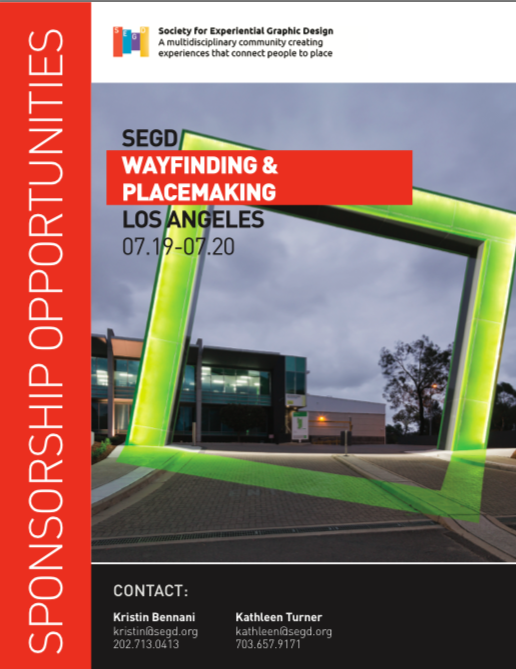 In fact, the 2017 SEGD Wayfindingevent grew by over 50% to become the largest Wayfinding event in SEGD history. 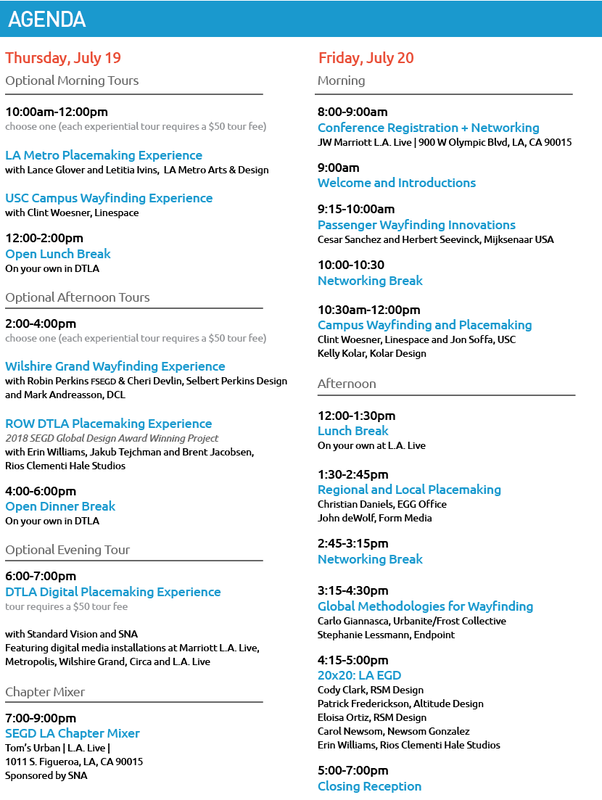 Join fellow wayfinding and placemaking professionals in Los Angeles, July 19–20. Book early, as this event is likely to sell out! SEGD has reserved a small block of rooms at the JW Marriott Los Angeles L.A. LIVE for US $289 plus tax and fees per night. This rate is in effect through June 25, 2018; after that date, unsold rooms will be released. Rooms fill up quick and are not guaranteed, so confirm your reservation soon. Reserve with code “SEGD” by calling 877-622-3056 or go online. As of July 3, the room block is sold out.